Lockheed Martin Space Systems was selected by NASA and NOAA in December 2008 to build two GOES-R series weather satellites with an option for another two satellites to continue operations through 2036. 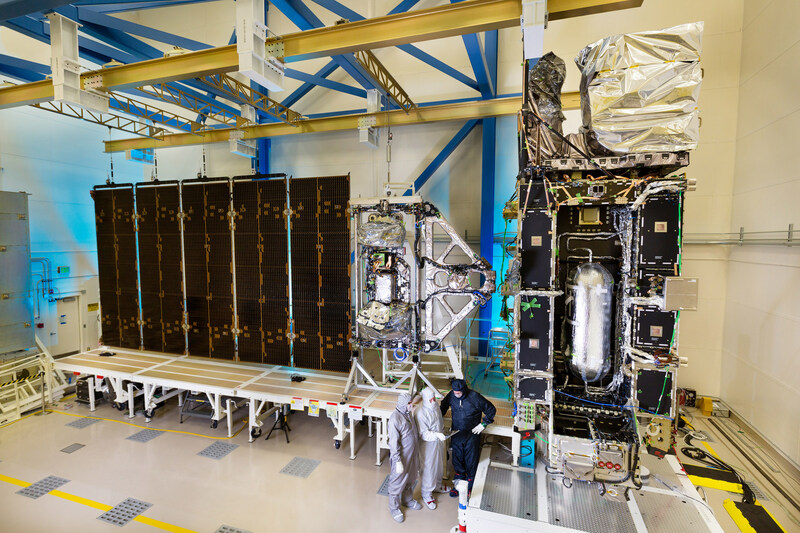 Under the contract, Lockheed is responsible for the design, development and delivery of the GOES-R-class satellites and also provides pre-launch, launch and post-launch support during the satellite’s operational lifetime. The GOES-R satellite class is based on the flight-proven A2100 geostationary satellite bus that has been used for different applications including fixed and mobile satellite communications, specialized imaging/detection and navigation. 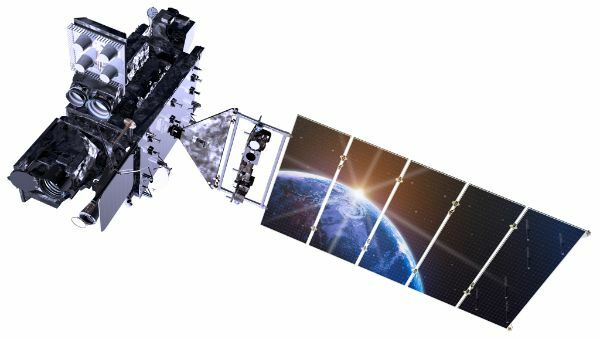 Debuting in 1996, A2100 has been kept up to date and uses state-of-the-art technology to provide a stable platform for a meteorological satellite, also considering the mission’s uptime requirements by using a flight-proven platform. A2100 has been used for over 40 missions and is available in different versions catered to specific mission needs in terms of dimensions and power availability with satellite mass varying between 2,000 and 6,740 Kilograms. Each GOES-R-class satellite is 6.1 by 5.6 by 3.9 meters in size and has a dry mass of 2,857 Kilograms. 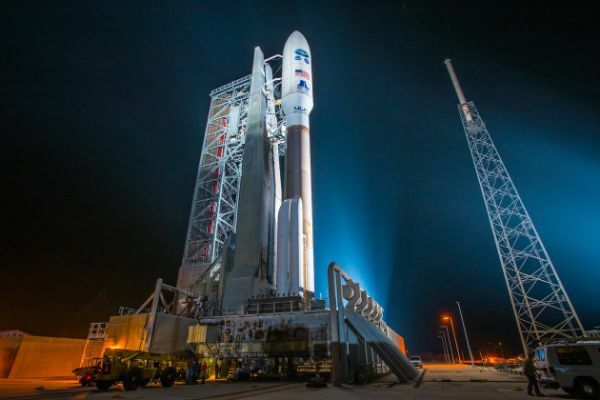 At liftoff, the satellite weighs 5,192 Kilograms, loaded with propellants to support a mission of at least 14 years. Structurally, the A2100 satellites consist of a central cylinder from which structural panels fan out and support all satellite components. The central tube holds the propellant tanks and serves as the primary load bearing structure. Modernized versions of the A2100 use composite materials as well as advanced manufacturing techniques such as 3D printing. In design, the A2100 features less components than other satellite platforms which reduces overall cost and complexity. Mounted on the central core structure are composite panels that hold the various subsystems of the satellite, amounting to 70 boxes for the A2100 electrical, command and data, and communications systems. In the aft section of the spacecraft, the propulsion system is facilitated while the Earth-pointed side hosts the payload including Earth-pointed instruments and communications system. GOES features a single five-panel solar array with active sun-tracking system to ensure maximum power-generation at all solar angles. Installed on the solar array booms are two of the satellite’s instruments, the Solar Ultraviolet Imager and the Extreme UV & X-Ray Irradiance sensor which need to be pointed at the sun to make their measurements. The single solar array delivers an End-of-Life Power of at least 4kW, routed to dedicated power control electronics in charge of controlling the state of charge of the battery, conditioning the spacecraft power bus and distributing power to the various subsystems. 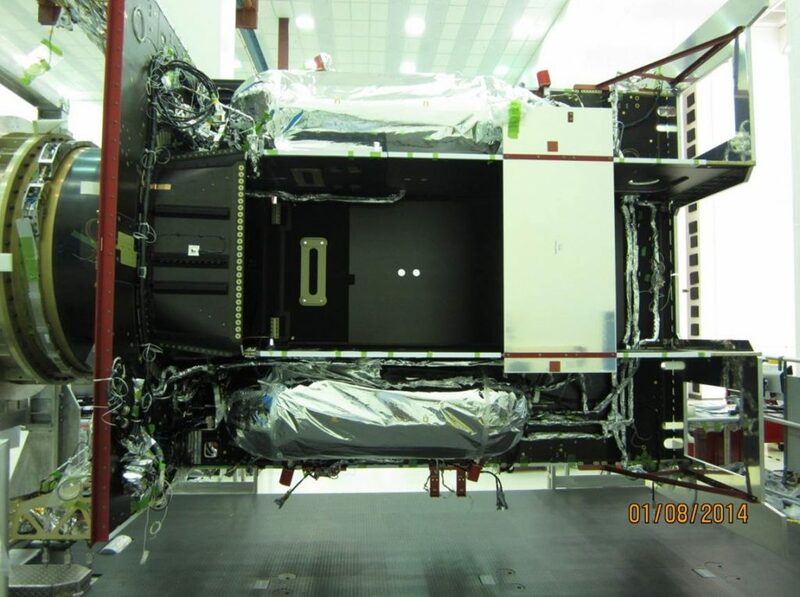 GOES uses VL-48E batteries provided by Saft, each assembly having a capacity of 48 Amp-hours. A repeating pattern in the design challenges for GOES is the reduction of disturbances and vibration experienced by the satellite’s instruments. The Azimuth and Elevation Gimbal of the Solar Pointing Platform (SPP) incorporate a low-disturbance design that premiered on the Mars Reconnaissance Orbiter. This design employs a zero-backlash harmonic drive with a high gear reduction of 200:1 and a two-phase brushless motor driven by a sine drive commutation. Harmonic drive friction and nonlinear effects of the motor are eliminated through the use of a high bandwidth rate-loop implemented on the motor rate. This design has been proven to eliminate a significant pointing error and jitter source. The GOES-R-class propulsion system is relatively complex in that it combines a Bipropellant Main Propulsion System, Bipropellant Reaction Control System, Low-Thrust Stationkeeping Engines and Solar Electric Propulsion. This design was chosen based on the unique ‘Operate-Through’ requirements of the mission that dictate GOES-R to remain operational through most maintenance events such as reaction wheel momentum dumps and stationkeeping in Geostationary Orbit. 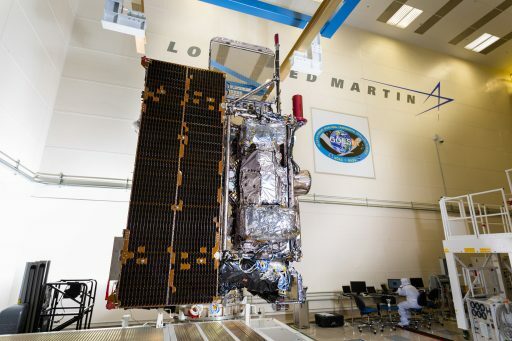 GOES-R, S, T, U launches with a propellant and pressurant load of 2,335 Kilograms with Mixed Oxides of Nitrogen and Hydrazine acting as main propellant components and Helium gas used for the pressurization of tanks. GOES is powered by a LEROS-1c main engine provided by Moog ISP. It operates at a thrust of 458 Newtons and delivers a specific impulse of 324 seconds, though thrust is dependent on propellant inlet conditions (pressure, mixture ratio) and can vary between 386 and 470 N. The pressure-fed LEROS-1c tolerates inlet pressures of 13 to 20 bar and a mixture ratio of 0.78 to 0.85. The engine assembly is 29 centimeters in diameter and 53 centimeters long with a mass of 4.3 Kilograms. LEROS-1c has been certified for up to 72 re-starts but will only fire a handful times to inject GOES from an elliptical transfer orbit into a circular Geostationary Orbit above the equator. 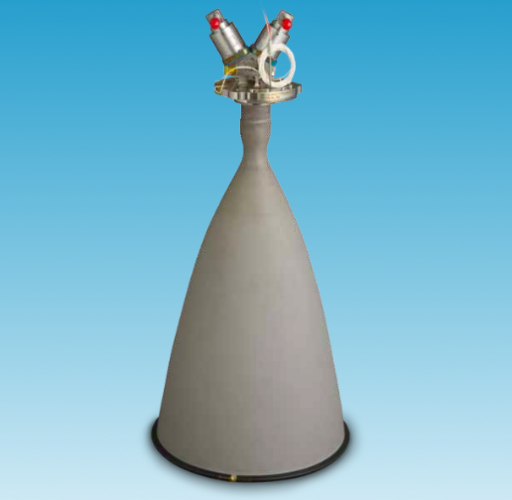 According to Moog, GOES also uses the company’s 22-Newton bipropellant Attitude Control Thrusters which will be employed for stabilization during the operation of the Liquid Apogee Engine, for small orbit correction maneuvers and in safe modes/for the initiation of spin stabilization. 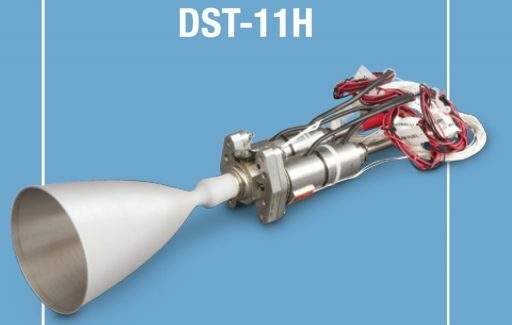 The DST-11H thruster operates at an inlet pressure of 5.5 to 27.6 bar and a mixture ratio of 0.85. The 0.8-Kilogram thruster assembly employs a Platinum/Rhodium combustion chamber and a nozzle with a 300:1 expansion ratio. 26 centimeters long, DST-11H delivers 22N of thrust and achieves a specific impulse of 310 seconds. According to Moog, the thrusters achieve the highest performance in a Hydrazine/ACS thruster. For Stationkeeping and Momentum Adjust Maneuvers, GOES uses an innovative solution to avoid having to stop observations during these maintenance operations. Momentum Dumps are needed periodically to spin down the Reaction Wheels which are the primary reaction actuator of the satellite; unloading them induces a torque that has to be countered to avoid body rates building up. 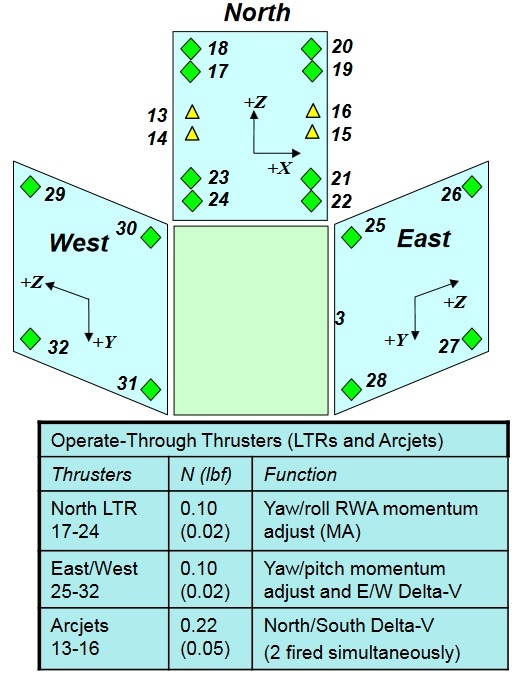 Typically, momentum dumps are performed by spinning down the wheels and countering the torque with the ACS thrusters, though this induces some instability which would cause an interruption of instrument operations. Stationkeeping in Geostationary Orbit is necessary due to perturbations in the satellite’s orbit caused by gravitational influences from Earth as well as solar pressure which, in combination, cause a GEO satellite to drift in the East-West direction and induce a North-South motion that would eventually place the satellite into an inclined orbit. Over the course of a year, around 50 meters per second of change in velocity are needed for N-S stationkeeping while control in the East-West direction only needs 1.3m/s. These small delta-v maneuvers would also need an interruption of services if completed with the high-thrust ACS engines. Because of the strict ‘Operate Through’ requirements, engineers went the extra mile and came up with low-thrust, low-disturbance systems to complete regular maintenance maneuvers without causing an interruption of instrument activities. 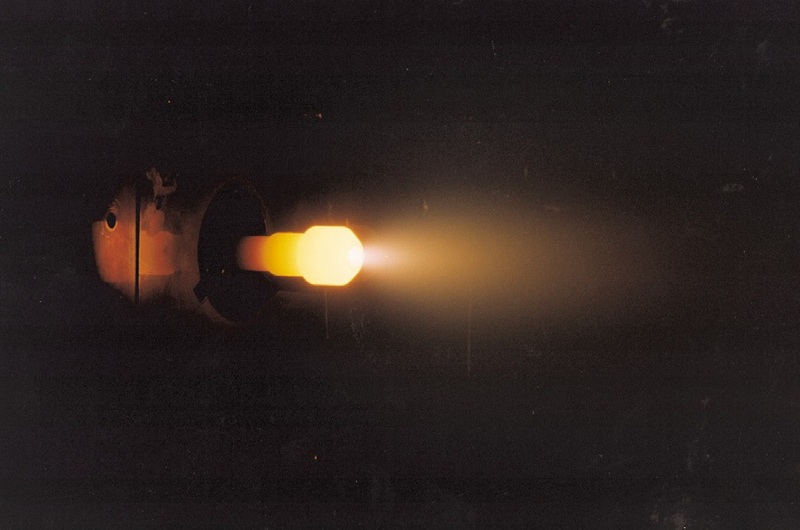 The Low Thrust Reaction Engine Assembly has been developed by Aerojet Rocketdyne and is built around MR-401 monopropellant thrusters that generate only 0.08 Newtons of thrust. MR-401, while only achieving a very low impulse of 170 seconds, generates a precisely repeatable thrust and has a high life expectancy for continuous firings. A total of 16 engines are part of the LTR assemblies and will be used for Momentum Adjust and East-West Stationkeeping. The low thrust from the LTRs can be balanced by torque from the reaction wheels, allowing stationkeeping and momentum dumps to be completed at a very gradual pace without disturbing the spacecraft’s attitude. For North-South Stationkeeping, GOES employs 0.2-Newton arcjets that have been chosen for their high specific impulse of ~585 seconds. Four Arcjets are installed on the spacecraft coupled with a single, internally redundant Power Conditioning Unit with two thrusters active at a time for NS Stationkeeping. The MR-510 arcjet delivers a thrust of 222 to 258 Millinewtons and requires a power input of 2000 Watts. The Aerojet MR-510 arcjets use Hydrazine monopropellant at very low flow rate. An electrical arc is created in the fuel flow and imparts additional energy to the propellant to create a higher exhaust velocity to achieve higher specific impulse than conventional chemical engines. While requiring significant electrical power, arcjets reduce the satellite’s fuel consumption and enable longer in orbit lifetime. Like is the case with the LTR, the small thrust of the arcjets can be balanced by the reaction wheels and pointing excursions will be kept within attitude requirements for operational measurements. 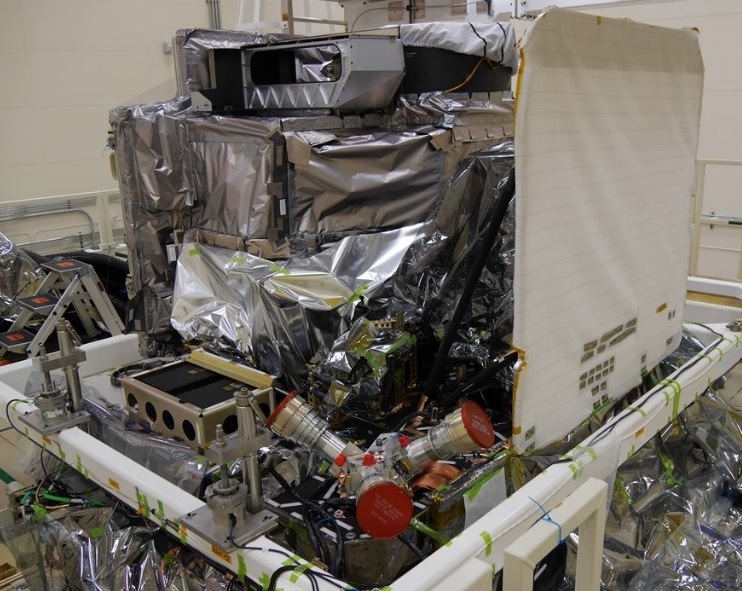 GOES uses a suite of sensors for attitude determination consisting of a redundant Star Tracker with three optical heads and a pair of Northrop Grumman Scalable Space Inertial Reference Units (SSIRU). The Star Tracker chosen for GOES-R/S/T/U is the Sodern Hydra, a flight-proven design used on a number of previous missions. Each of Hydra’s Optical Heads weighs 1.4 Kilograms and measures 147 by 283 millimeters in size featuring a CMOS detector. 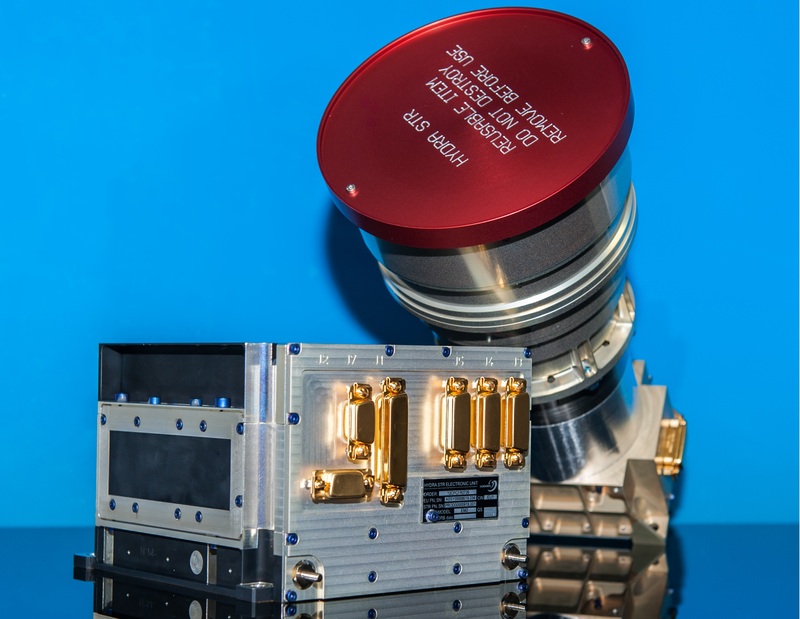 The Electronics Unit interfacing with the optical components is 170 x 147 x 103 mm in size and weighs 1.9 Kilograms in charge of delivering power & commands to the optical heads and accepting their read-out for attitude computation. Each Optical Head can simultaneously track 15 stars and the system can acquire attitude information from a lost in space scenario at body rates of up to 8deg/sec. The star tracker heads are sampled at a frequency of 20Hz with two heads in active use and one employed as cold spare. Each SSIRU incorporates four gyroscopes for internal redundancy and is operated at a 200Hz. The Hemispherical Resonator Gyro (HRG) within the SSIRU is comprised of three quartz parts – inner & outer shell and a high-Q vibrating resonator, building a robust system with long lifetime, low weight and high stability. Each SSIRU assembly is 29 by 18 by 15 centimeters in size and weighs 7 Kilograms, interfacing with the spacecraft via a low-latency RS-422 connection. Attitude determination is performed by a 6-state extended Kalman filter which combines attitude quarternions from the star trackers and rate measurements from one of the two SSIRUs (only one is powered at any given time). Mirror compensation within the satellite’s primary instrument is accomplished with a direct feed of 100Hz data from the SSIRU. 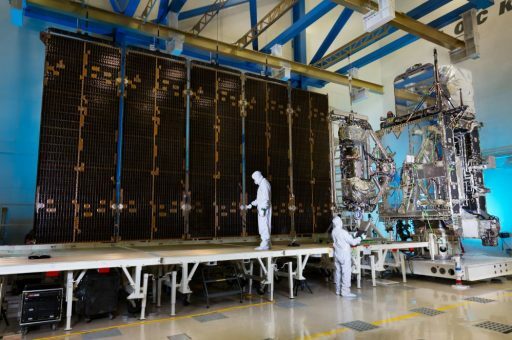 A key aspect for the next-generation of GOES is precise orbit knowledge and control, relying on a Viceroy GPS Receiver from General Dynamics and a GPS antenna from Lockheed Martin. GOES can not use direct GPS signals as it orbits higher than the GPS constellation in its 20,000km operational orbit, requiring a specialized system that can use GPS signals that leak around the Earth which can be broken down in two groups – main lobe signals that leak around the planet from the nadir-directed GPS craft and the much wider, but weaker side lobe signals. 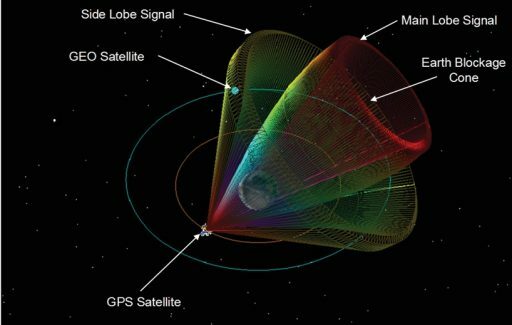 The challenge for a spaceborne GPS receiver operating in GEO is the dynamic range required to distinguish the side lobe signals from noise while not saturating when a high-power main lobe signal is detected. 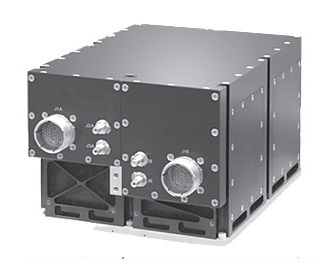 The Viceroy-4 spaceborne GPS receiver was specifically developed for GOES and is capable of tracking 12 GPS satellites with fast acquisition time, making use of the L1 signal band. Internally redundant, the Viceroy-4 system is 15 by 12 by 4.3 centimeters in size and weighs 1.1 Kilograms. Viceroy-4 can acquire sufficient signals for position determination within one minute of start-up and extensive simulation has been performed to show that even in a worst-case scenario of only four satellites being acquired during a momentum dump, accurate data can be delivered within a period of eight minutes. The system delivers velocity data with an accuracy of 6cm/s while position errors do not exceed 4.4 meters for the in-track position and 8.2 meters for cross-track position. GPS data is delivered in the Earth-Centered Earth-Fixed (ECEF) reference frame at a 1Hz repetition rate for conversion into International Celestial Reference Frame (ICRF) then propagated to nadir and normal vectors at a 20Hz frequency as required by the attitude and scanning control systems. The GPS receiver is also responsible for time synchronization, outputting a pulse per second signal with 178-nanosecond error to synchronize all attitude determination, orbit determination and instrument operations. The primary attitude actuator of the GOES satellites is a cluster of six HR18 reaction wheels built by Honeywell. Using six wheels provides a relatively high torque capability even when operating them well below their max speed of 6000RPM in order to reduce vibration on the satellite structure. Each wheel is coupled to a Visco-Elastic Material vibration isolation system provided by Moog to attenuate vibrations above 50 Hz for each wheel individually. 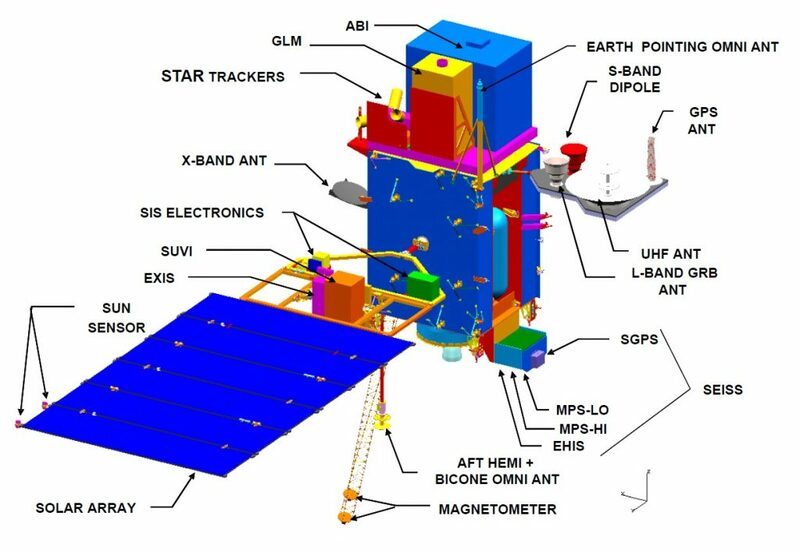 All attitude sensors and the two Earth-pointing instruments (ABI & GLM) are located on an Earth Pointed Platform (EPP) that is around 2 x 2 meters in size and designed to ensure the instruments and attitude sensors are perfectly aligned. The EPP consists of a aluminum honeycomb structure with carbon fiber facesheets and is around 15 centimeters thick, creating a stiff structure. The EPP is mounted to the satellite bus with Honeywell D-Strut isolators that provide passive isolation from reaction wheel disturbances, gimbal disturbances and disturbances from the solar instruments. This structure provides attenuation for all frequencies above 5Hz along all six degrees of freedom. The GOES-R-class Command and Data Handling System is built around a RAD-750 flight computer that has been used on numerous missions in Earth orbit and beyond. RAD-750 is a single-card computer manufactured by BAE Systems in Manassas, Va. The processor can endure radiation doses that are a million times more extreme than what is considered fatal to humans. The RAD750 CPU itself can tolerate 200,000 to 1,000,000 rads. Also, RAD750 will not suffer more than one event requiring interventions from Earth over a 15-year period. RAD-750 was released in 2001 and made its first launch in 2005 aboard the Deep Impact Spacecraft. The CPU has 10.4 million transistors. The RAD750 processors operate at up to 200 megahertz, processing at 400 MIPS. The CPU has an L1 cache memory of 2 x 32KB (instruction + data) – to improve performance, multiple 1MB L2 cache modules can be implemented depending on mission requirements. GOES uses serial RS-422, MIL-STD-1553 and Protocol ID (PID) 238 communications protocols. 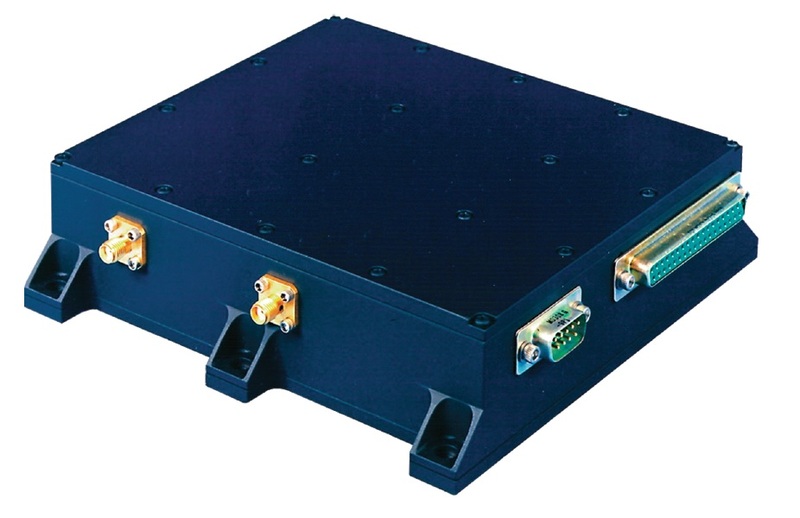 PID-238 is used for most satellite-internal communications with instrument-to-spacecraft data rates of 10 to 100Mbit/s. PID 238 builds on the high-speed space wire bus and advances the protocol by the ability to recover lost packets, reorder packets, and provide ensurance that high-level packets are as error free as possible. 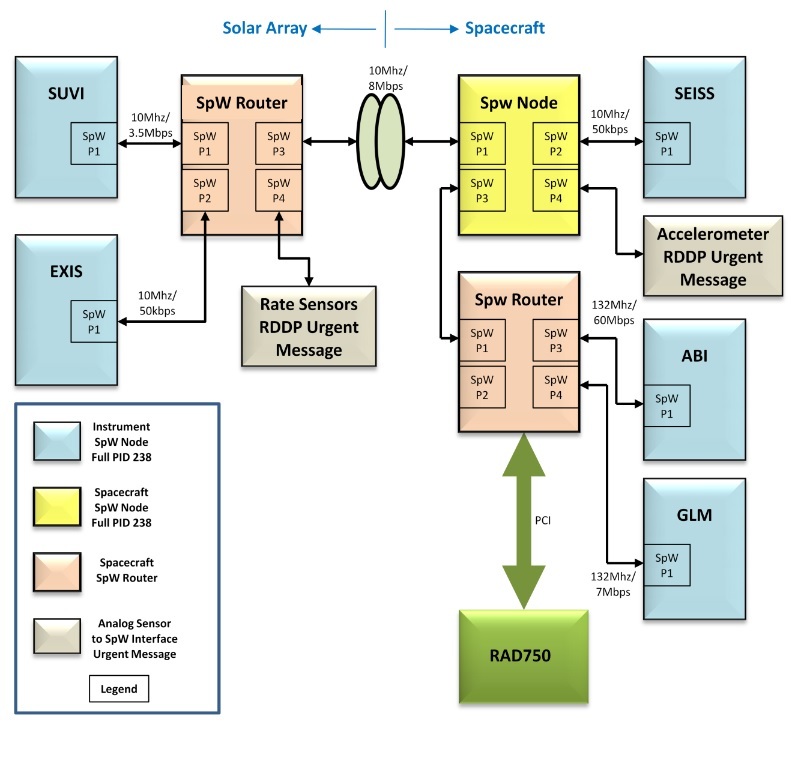 All GOES-R-class instruments transmit their data to the spacecraft via SpaceWire PID-238 using three routers and nodes to interconnect the instruments with data varying between 50kbps at 10MHz to 60Mbps at 132 MHz. The communications system of the GOES-R/S/T/U satellite supports the GOES Re-Broadcast service, High Rate Information Transmission, Low Rate Information Transmission and Emergency Managers Weather Information Network. Command uplink and telemetry downling uses an S-Band antenna.